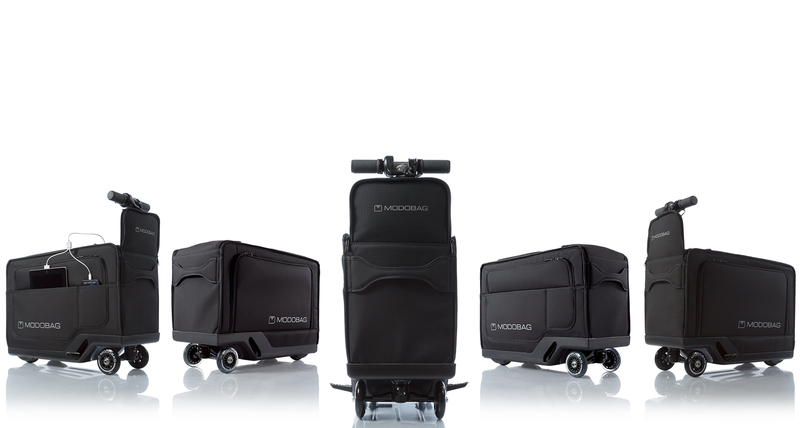 Modobag is changing the way the world travels! 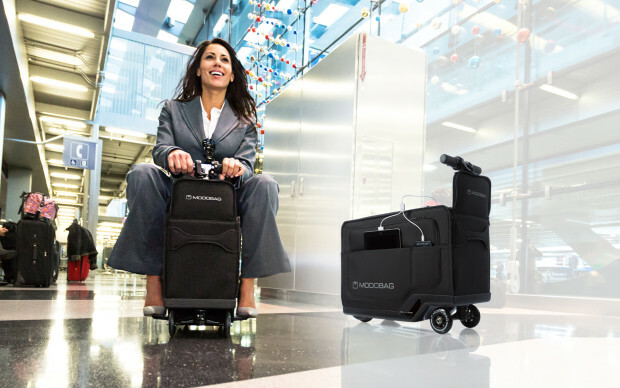 Featuring the latest in luggage design and advanced motorized technology, its luggage you can ride! Not only is it incredibly functional and efficient, it's fun! 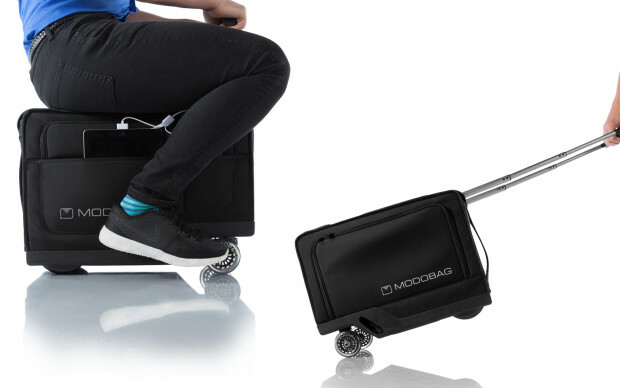 Modobag combines the convenience of a standard suitcase with the innovation of personal transportability, GPRS-GSM tracking, and dual USB charging ports to create the world’s only motorized, smart and connected carry-on that gets you to your destination three times faster than the average walking speed. Ride or walk, its your decision! Ever sat on the floor of an airport while you wait for your device to charge?We've all been there! With Modobag, you'll never have to search for a free power outlet or seat again. 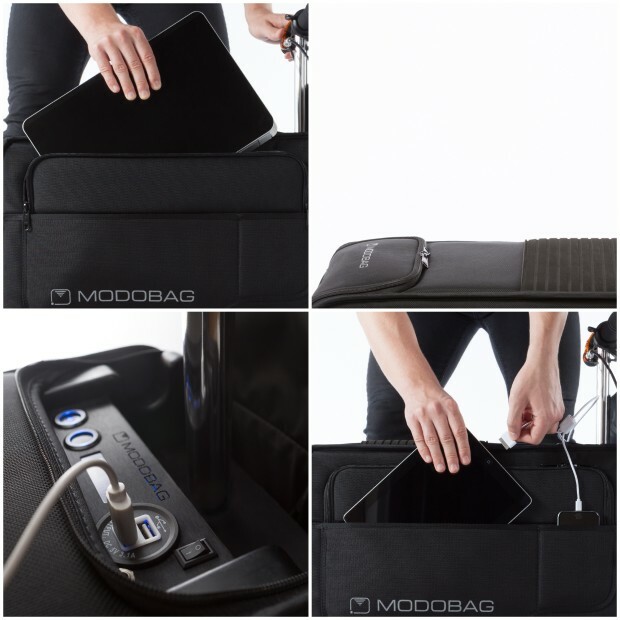 Modobag can charge two devices with it's dual USB ports and you'll always have a comfortable padded seat! Modobag contains quick stow pockets for your laptop, phone and tablet. Easy access and secure charging while on-the-go! Max Rider Weight - 260 lbs. Modobag's US Patented battery can reach 80% charge in 15 minutes and full charge in less than 1 hour. 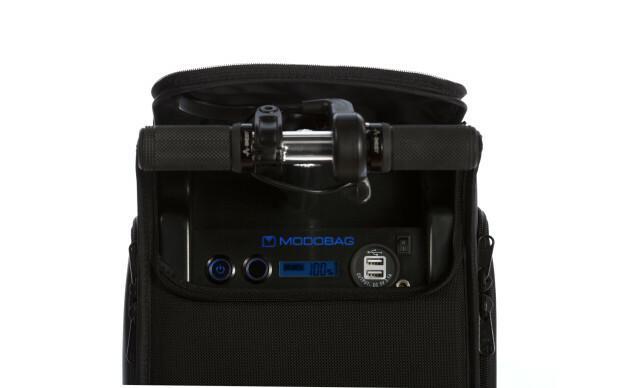 The included Modobag charger can be plugged into any standard US outlet, International outlets may require an adapter. Our Lithium batteries are UN, TSA, FAA and IATA approved and use the latest patented nano-crystal technology. Modobag's batteries are rated for over 4000 charge and discharge cycles. Over 30 million bags are misplaced while traveling every year! The optional Modobag Mobile App will allow you to use the GPRS-GSM, Tracking, and Proximity features on your phone so you will always know where your belongings are, even if it's in an airport basement! 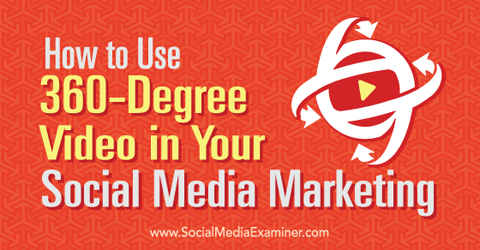 It is a highly recommended option and comes with one free year of service!